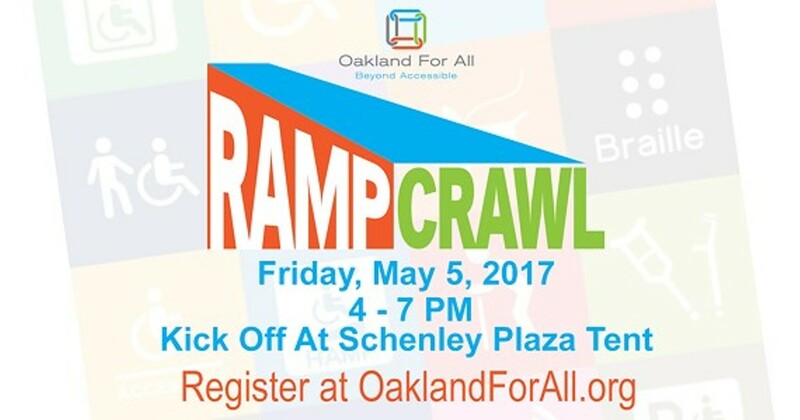 Oakland For All – Beyond Accessible welcomes you to join us for our 3rd annual Ramp Crawl (21+ EVENT)! Participants will have the opportunity to enjoy Oakland's ADA-compliant food and beverage locations -- all while raising awareness on the importance on Accessibility. Register for $20 and get a free t-shirt, complimentary drink, and gift bag. Proceeds benefit the Oakland For All – Beyond Accessible program in transforming Oakland into a model community for Accessibility. Visit oaklandforall.org for participating locations!